Fig.1. Screenshot from insar.ngu.no that shows, for each coloured point, its mean movement (in mm/y) and the time series of its displacement. 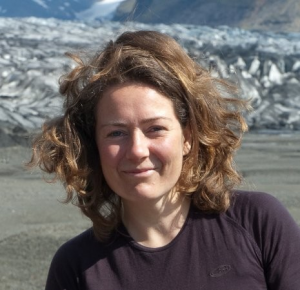 Marie Keiding is a researcher in the Geohazard and Earth Observation team at the Geological Survey of Norway. Together with her colleague, John Dehls, who is leading the project, she works to develop and operate the new mapping service called InSAR Norway. Before we start, let’s briefly describe what is InSAR. First, the Synthetic Aperture Radar (SAR) is a day and night operational imaging system that can be operated from satellite aircraft or ground and has high capabilities of penetrating clouds because it uses microwaves. Its ‘interferometric configuration’, Interferometric SAR or InSAR, uses two or more SAR images to generate maps of surface deformation or digital elevation models. This is made by calculating differences in the phase of the waves returning to the sensor, as a function of the satellite position and time of acquisition. Measurements of phase variations are possible only in those pixels of the image where the signal maintains a sufficient coherence between different acquisitions. For this reason, InSAR techniques are particularly suitable to monitor relatively small deformations, in the order of millimetres to centimetres. 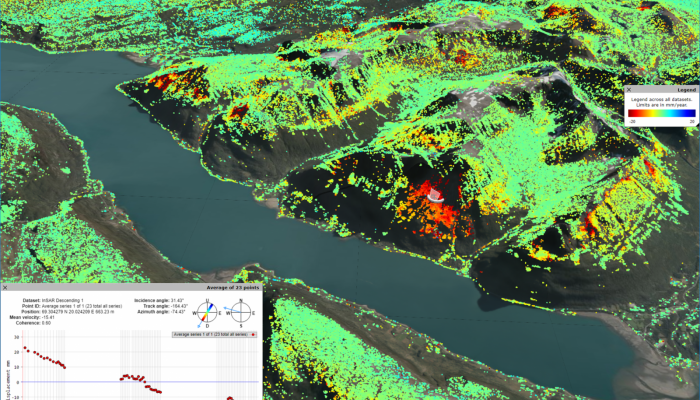 Hi Marie, can you tell what is InSAR Norway? In this post, I had the pleasure to interview Paolo Tarolli, a very active member of the EGU community and a brilliant scientist. He is Professor in Water Resources Management and Integrated Watershed Management, and head of Earth Surface Processes and Society research group at the Università degli Studi di Padova (Italy). He has a PhD in Environmental Watershed Management and Geomatics and has worked as academic staff at the Università degli Studi di Padova since 2011. He was Visiting Professor at several universities (e.g. China University of Geosciences, Guangzhou University, National Cheng Kung University, EPFL), and Adjunct Professor at University of Georgia and Università Politecnica delle Marche. 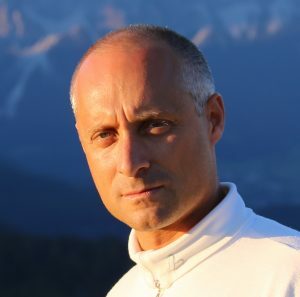 Paolo Tarolli is also very active in science dissemination, being Executive Editor of the open access journal Natural Hazards and Earth System Sciences (NHESS) and Science Officer of the Natural Hazards division (NH6 remote sensing & hazards) at the European Geosciences Union (EGU). He is also a member of the European Geosciences Union, the American Geophysical Union, and the British Society for Geomorphology. His fields of expertise include digital terrain analysis, earth surface processes analysis, natural hazards, geomorphology, hydro-geomorphology, lidar, structure-from-motion photogrammetry; new research directions include the analysis of topographic signatures of human activities from local to regional scale. 1) Humans are having an increasing impact on the Earth, and the term Anthropocene is now commonly used to define the period we are living in to highlight the strong influence of human beings. How are humans shaping the Earth? Human societies have been reshaping the geomorphology of landscapes for thousands of years, producing anthropogenic geomorphic features ranging from earthworks and ditches to settlements, agricultural terraces, ports, roads, canals, airports and constructed wetlands that have distinct characteristics compared with landforms produced by natural processes. Human societies are transforming the geomorphology of landscapes at increasing rates and scales across the globe. These anthropogenic patterns, directly and indirectly, alter Earth surface processes while reflecting the sociocultural conditions of the societies that produced them. In my recent paper published in Progress in Physical Geography (a research collaboration with some colleagues with a different background, e.g. geomorphology, ecology and archaeology), we introduced the concept of “sociocultural fingerprints”. 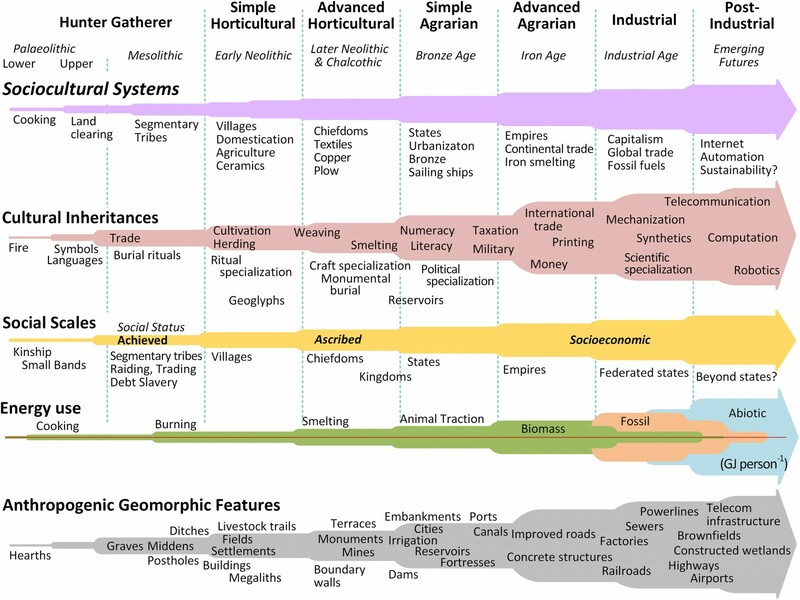 We connected the novel Earth system processes provided by the emergence and evolution of human societies with their continuous shaping and reshaping of Earth’s geomorphology from the deep past into the foreseeable future. We underlined the opportunity to recognize the geomorphic signatures of sociocultural fingerprints across Earth’s land surface using high-resolution remote sensing combined with a theoretical framework that integrates the natural and sociocultural forces that have and will shape the landscapes of the Anthropocene. 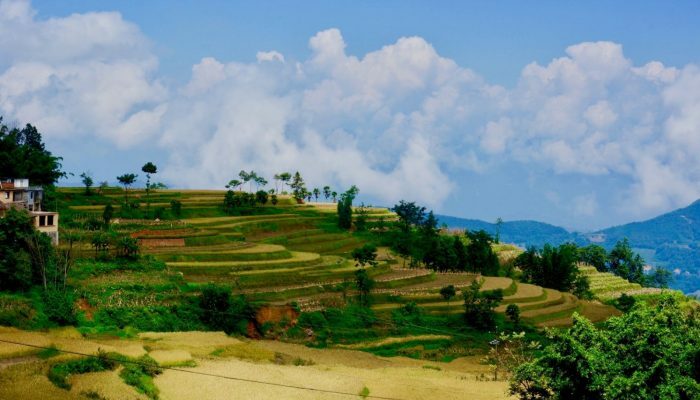 Doing so, the long-term dynamics of anthropogenic landscapes can be more effectively investigated and understood, towards more sustainable management of the Earth system.